Are you looking for the Chinese MyEclipse pages? Don’t let your development creativity stall out. 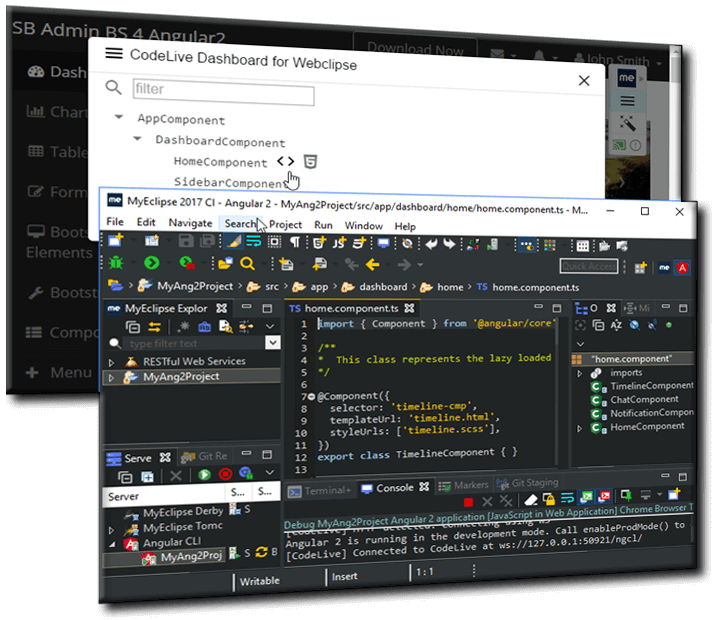 Keep development rolling with MyEclipse, the all-in-one Eclipse Java EE IDE enhanced for full stack development. MyEclipse fully supports the Java EE framework providing wizards for easy project setup with the necessary libraries. Productivity tools make the development process more efficient along with the ability to deploy to dozens of app servers for quick testing. We are focused on providing the ideal full stack for the enterprise. In addition to our powerful Java EE capabilities, now you can easily include emerging modern web technologies. And, we let you transition on your own timetable without disrupting current development. 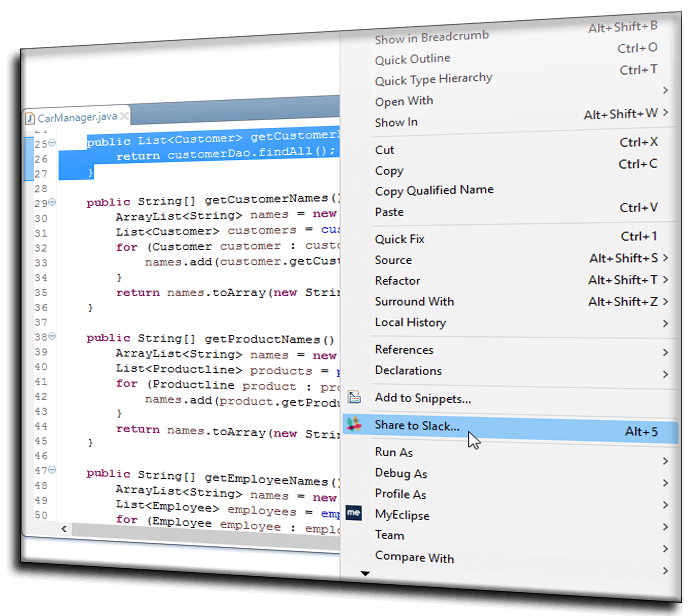 Simplify enterprise development with MyEclipse, the all-in-one Eclipse Java EE IDE with support for a wide range of frameworks. Content assist, as-you-type validation, syntax highlighting, graphical and form based editors, and built-in libraries are just a sampling of features that improve the experience of today’s enterprise developer. Navigational aids, like a breadcrumb toolbar, inline search and Minimap view, help you quickly locate code—sometimes the smallest features can be the biggest time-savers! And you’ll love the ability to customize your workbench by selecting a theme like our Darkest Dark theme or creating your own custom theme. MyEclipse is based on the latest major version of Eclipse, allowing you access to thousands of the latest plugins, including favorites like Subversive, Clearcase, FindBugs, Gradle tooling, etc. 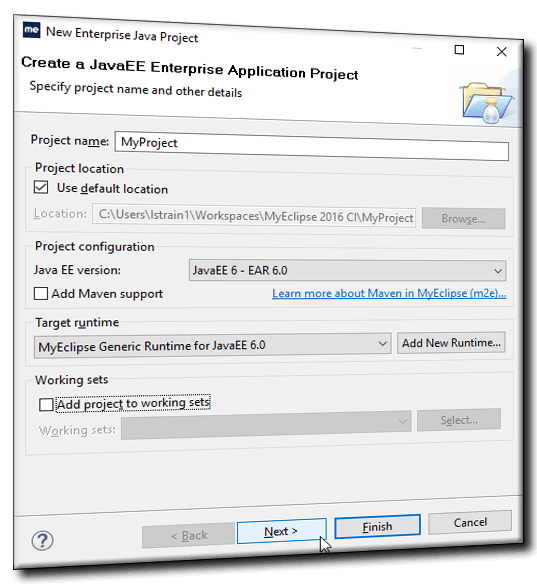 With standard Maven project structures and launch commands built into MyEclipse menus, you can manage projects with Maven without leaving your Java IDE. 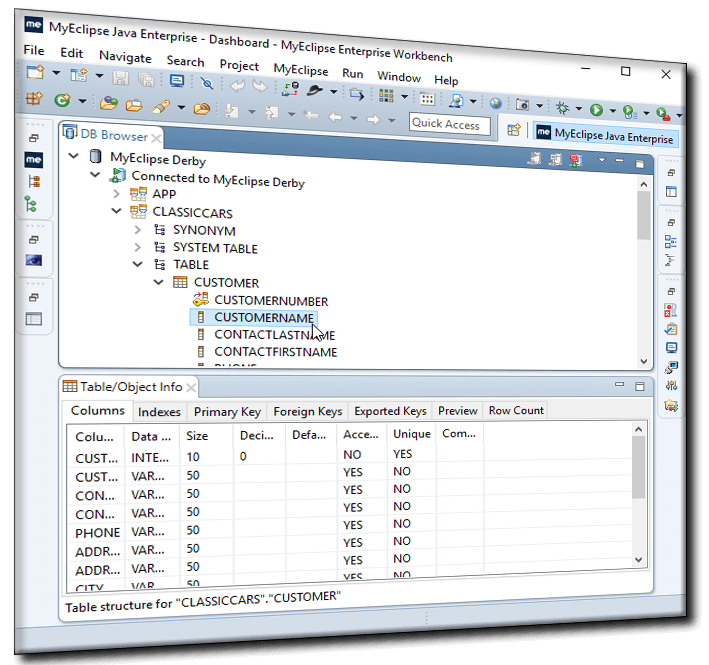 MyEclipse has all the tools a good database developer relies on, including Spring, JPA, Hibernate and POJOs. With persistence support, reverse-engineering, and visual ER models you’ll have everything you need in a single IDE. Plus, we offer connectors for dozens of databases and an embedded Derby database. Simplify your Spring project and Bean development with a variety of visual Spring editors and wizards. 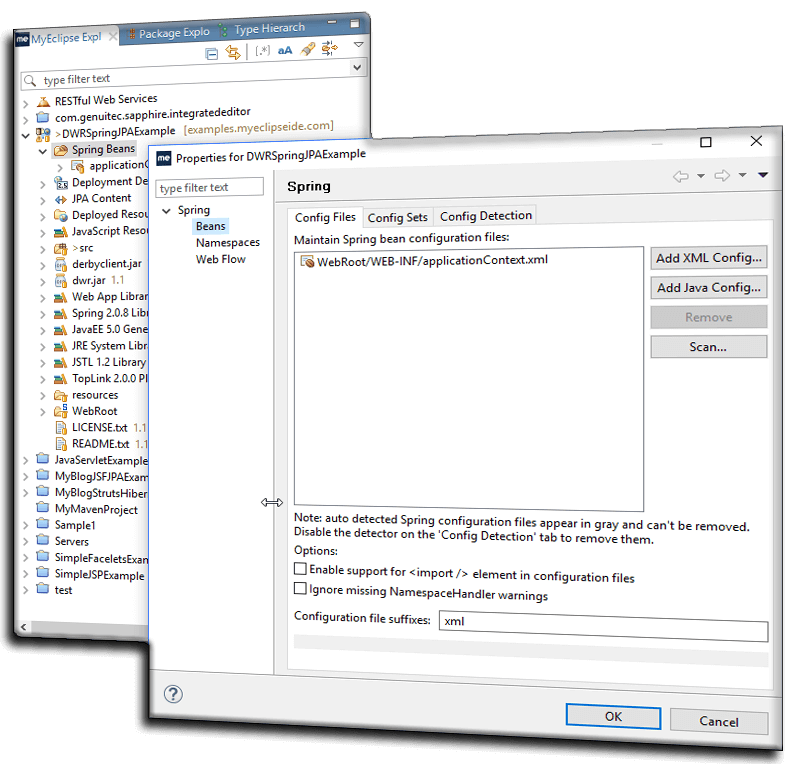 And with Spring scaffolding, you can have a basic Spring application generated, ready to run in just a few steps. All you have to do is make it your own. If IBM WebSphere is a major part of your enterprise development, it might seem vendor lock-in is hindering your options. 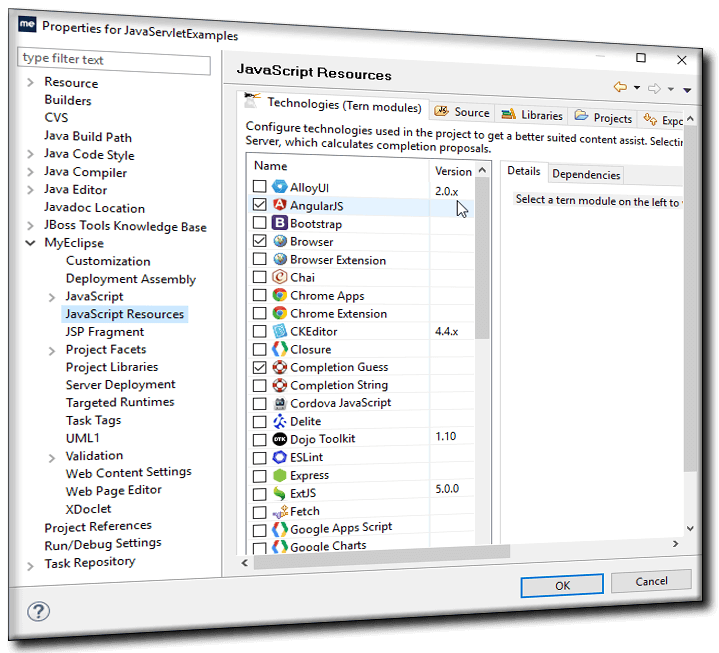 MyEclipse includes a Java IDE for WebSphere development that includes support for the most popular technologies from all vendors. 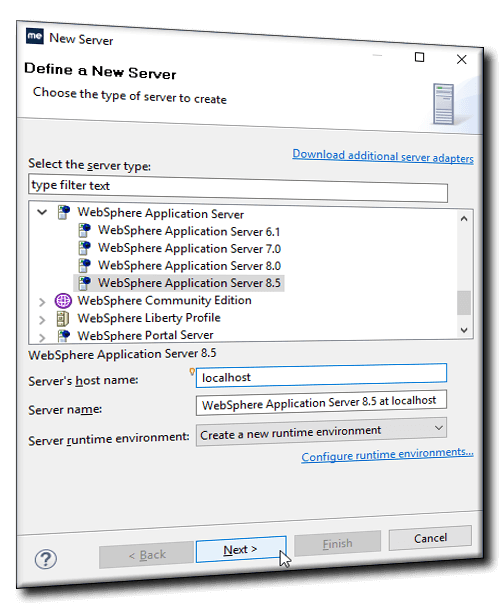 Now you can set your development creativity free and rapidly build applications for WebSphere and Liberty Profile servers. Dozens of built-in server connectors make it easy to see your apps in action. 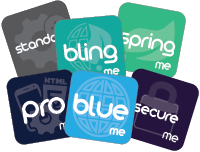 Deploy to a range of application servers from WebSphere, to Glassfish, WebLogic, Tomcat, and more. 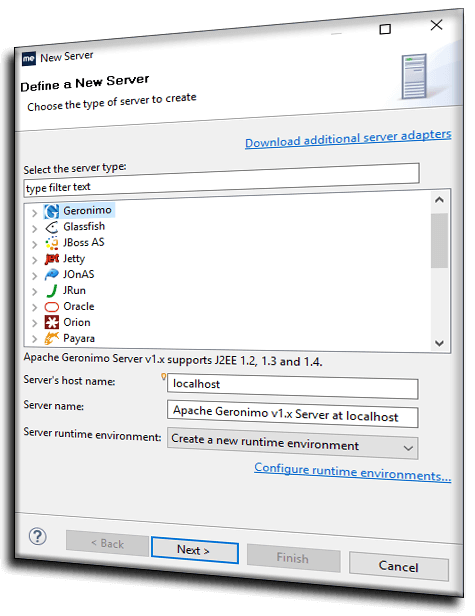 For super-quick testing, use the integrated MyEclipse Tomcat and Derby servers out of the box! 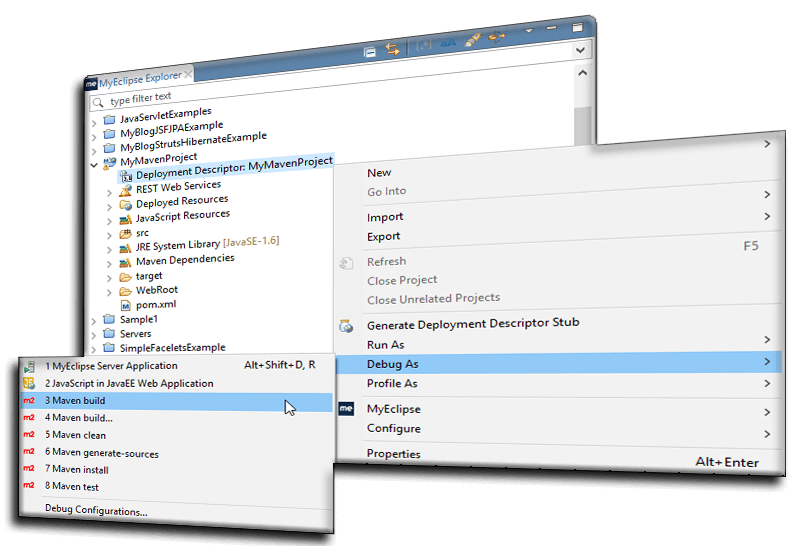 Build applications fit for the cloud using REST web service technology. 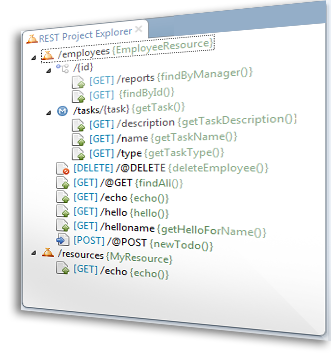 Use REST-specific tools for generating and testing the services you build into your application. CodeLive lets you view a list of files or Angular components used to load a web page and quickly jump to the source from the list or from an element on the page. For Java EE websites, combine this exceptional navigation with Live Preview for an even sweeter web development experience. Instantly view changes to your HTML, CSS and JSP within your normal Java EE development workflow. Test your code in multiple browsers simultaneously and say goodbye to fixing a bug in one browser only to create a new one in a different browser. You can even use a mobile simulator to include tests on mobile devices. Any tool that improves teamwork leads to improved productivity and quality code. With our Eclipse Code Sharing for Slack, it’s easy to share and discuss code snippets from MyEclipse with teammates. You can even view shared code directly in your IDE, reducing workflow interruption. 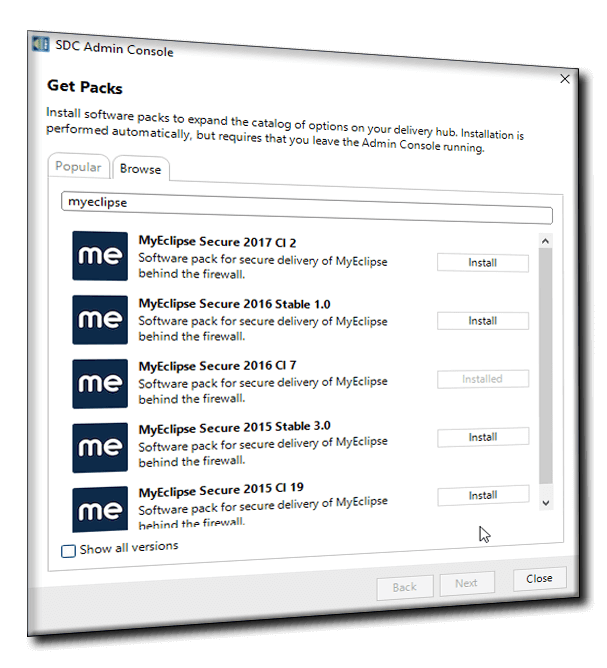 With MyEclipse Secure, it is simple for an administrator to configure and deliver the right tools, to the right people, at the right time. Manage the process from behind the firewall to maintain the integrity of your environment. You’ll save weeks normally lost to project on-ramping, keeping in sync and releasing software.